We are conveniently located just off south Veterans Parkway. We understand that parking at our facility is limited. The image below highlights available parking. 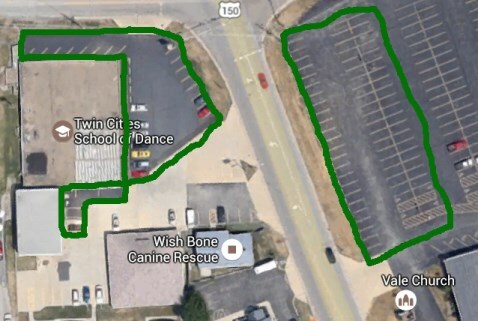 Any space on blacktop is available with exception of those spaces marked for Walker Tae Kwon Do. Additional parking is available across the street in the Vale Church parking lot. Please be cautious when crossing Morrissey Drive as this is a very busy intersection. Children should always be accompanied by an adult.